Often times in life, we meet people who disrespect and talk down to us. While this is certainly not an uncommon occurrence, the prolonged exposure to such an unhealthy environment would inevitably lead to poor self-confidence. Self-doubt has always been a problem for many people, and this causes us to be unable (and afraid) to fight for our dreams and goals. We doubt our ability to succeed, and we think that we are not good enough to achieve the better things in life. Do you always doubt your own capabilities and ideas? Are you always being ordered around by the people around you? Are you usually afraid to voice your opinions and stand up for yourself? 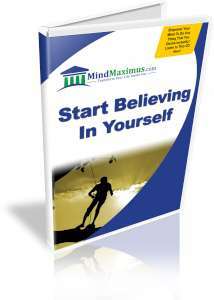 Have you always wished to be able to feel confident and good about your beliefs and ideas? If you have said ‘yes’ to these questions, then you already know that you’ll need to do something about your problem. You want to improve your confidence in yourself, and you wish to become a better person, right? That, in itself is a great start. However, the traditional methods of counseling and therapy may take a long time before you can realize any significant results. So allow us to show you how you can quickly and easily re-program your subconscious mind to eliminate all traces of self-doubt, transforming you into the strong, confident person that you deserve to be! No reviews on A13 Start Believing In Yourself so far.